The South Park Center is located right in the heart of downtown Los Angeles, just blocks from the Staples Center and LA Live. The mixed used building is now home to some of the top companies in the country including Transamerica, AT&T, USC and Fox Sports. With over 3000 employees in the building and a completely renovated interior and exterior, this property simply stands out in the skyline. The South Park Center has a state of the art 24,000 sq ft fitness center on it’s lower level with a full basketball court, two group exercise rooms, a large strength and cardio area and two racquetball courts. Kinema Fitness has been contracted through LBA Realty to fully manage and staff all operations at the fitness center. Our mission is to create a dynamic energy and a welcoming place to workout while increasing membership and tenant satisfaction. Kinema Fitness successfully transitioned this 24,000 sq. 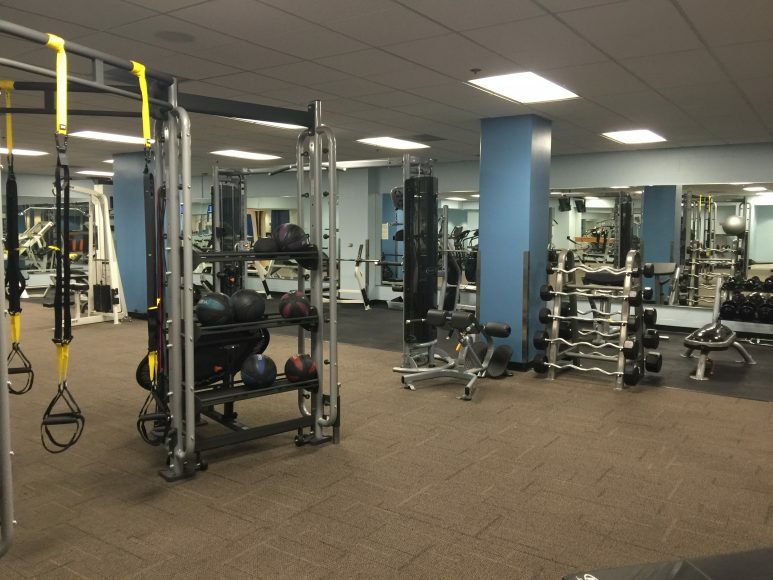 ft. corporate fitness center in 2014 and drastically improved membership, personal training, club utilization, and revenue from $11,000 per month to $30,000 per month. Kinema transitioned this facility from a previous operator. The fitness center was struggling to retain members, lacked a sufficient personal training program and was unable to create relationships with the major tenants in the building. Kinema's mission early on was to create a dynamic environment to excite and engage the current members while drawing in new prospects and generate additional revenue from a robust personal training program. Kinema's strategy was incredibly simple but very effective. Hire the best fitness professionals while delivering the ultimate experience to the members and create an outreach strategy to the tenants that was built on value. We were able to build an extremely strong personal training program from the ground up that contributed close to 30% of our monthly revenues. We created meaningful relationships with the largest tenants including USC Marshall School of Business, Transamerica and Patina Group.